"Looks like OPEC is at it again. With record amounts of Oil all over the place, including the fully loaded ships at sea, Oil prices are artificially Very High! No good and will not be accepted!" Trump wrote in a tweet on his official account on April 20. His tweet suggests that, despite a potential oversupply of oil in the international market, oil prices have not fallen because OPEC and its non-member partners are colluding to charge importers high prices. Trump is yet to follow up on his comments with another tweet – as he often does – to perhaps shed light on what action he might take to tackle the matter. Earlier this month, the rise in crude oil prices was attributed to higher demand from the US and China, and OPEC members and their partners largely following specified output caps. OPEC Responds: No Such Objective! 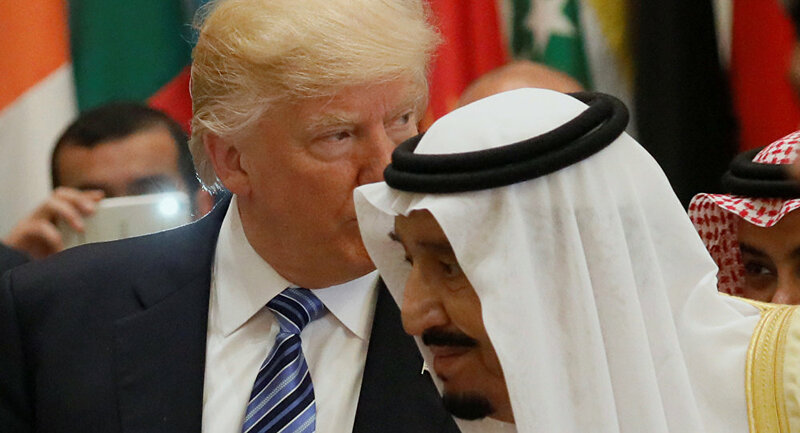 Organization of the Petroleum Exporting Countries (OPEC) Secretary General Mohammad Barkindo said that the cartel was not seeking to artificially drive oil prices higher despite such claims made by Trump. "We do not have any price objective not as OPEC and not in this joint endeavor with non-OPEC," Barkindo told reporters, commenting on Trump’s statement. The OPEC chief added that the organization had invited the US shale oil producers to take part in its seminar in June in Vienna. "We have invited them for our seminar in June in Vienna… We in OPEC pride ourselves as friends of the United States, who have vested interest in their growth, development and prosperity," Barkindo said. The Declaration of Cooperation between OPEC and non-OPEC oil producing countries on oil output cuts, which was signed in December 2016 and implemented since 2017, "rescued the oil industry from imminent collapse, and is now on course to restore stability on a sustainable basis in the interest of producers, consumers, and the global economy," Barkindo pointed out. In an effort to stabilize global oil prices, OPEC and several non-OPEC oil producers reached a deal in Vienna in 2016, agreeing to cut oil output by a total of 1.8 million barrels per day. Non-OPEC states promised to jointly reduce oil output by 558,000 barrels per day, with Russia pledging to cut production by 300,000 barrels daily. In late May, the parties to the agreement agreed to extend the deal until the end of March 2018. Another extension was made in late November that would make the deal remain in effect until the end of 2018.